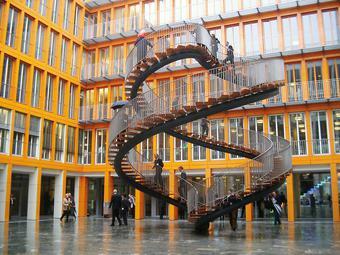 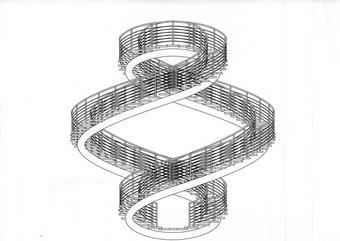 Permanently installed in the atrium of an office building in Munich, two spiral staircases interlock with each other, creating a continuous loop in the form of a double helix. 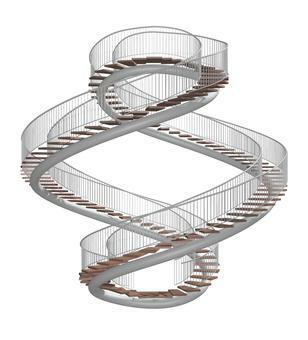 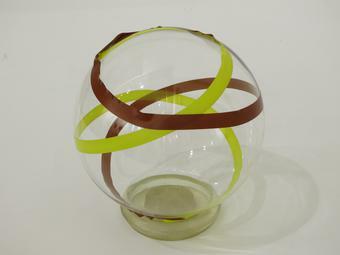 To plan the work, a double helix was projected onto the surface of a sphere. 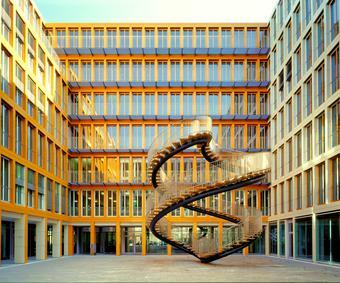 The heights of the steps vary slightly to compensate for the curvature of the staircases, growing shallower at the poles. 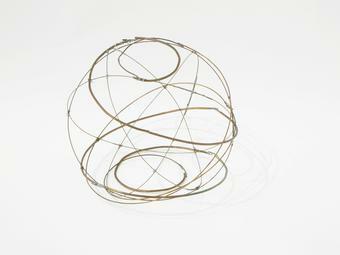 Precise engineering was necessary to enable the structure to balance on one point. 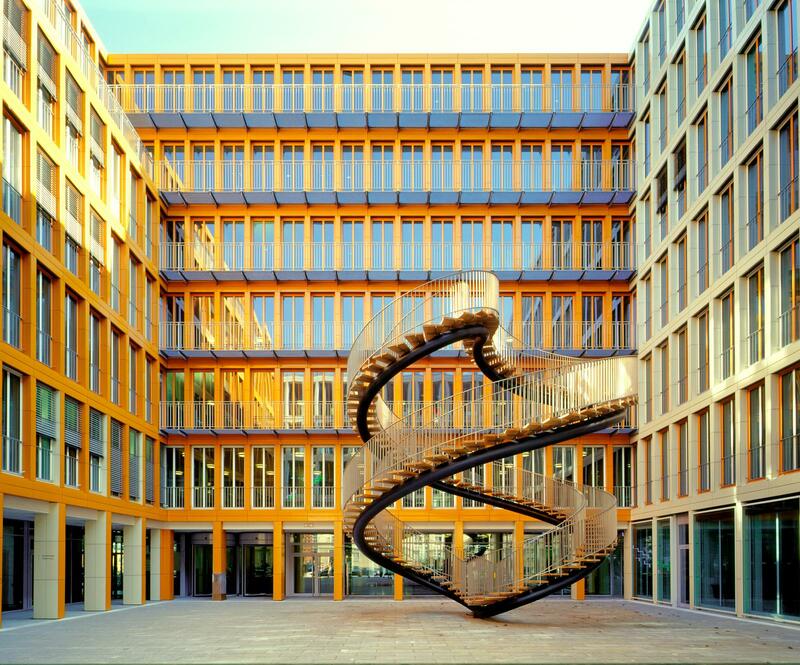 The continuous loop of Umschreibung contrasts starkly with the office courtyard in Munich where it is installed. 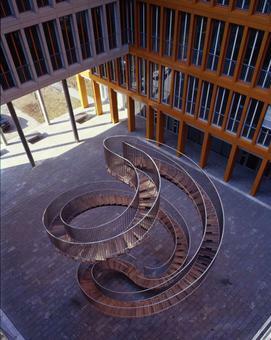 Umschreibung – which can be translated as ‘circumscription’ or ‘periphrasis’ – proposes a movement without destination, a space defined by motion rather than walls.